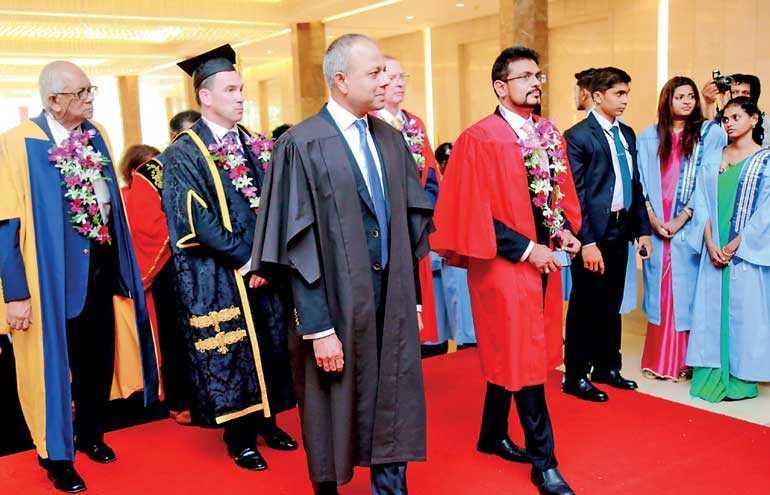 The Convocation 2018 of IDM Nations Campus Lanka was held for the second consecutive time on 19 July. It was a celebration of success for over 500 students who received their award for Postgraduate Diplomas, Degree, Higher National Diploma and Diplomas in the streams of ICT, Law, Business Management, Teachers Education, Psychology, Cyber Security and Sports Science and EPlus Exams. IDM Nations Campus has a long standing history in the private higher education sector in Sri Lanka and has reached several milestones in the tertiary education arena. 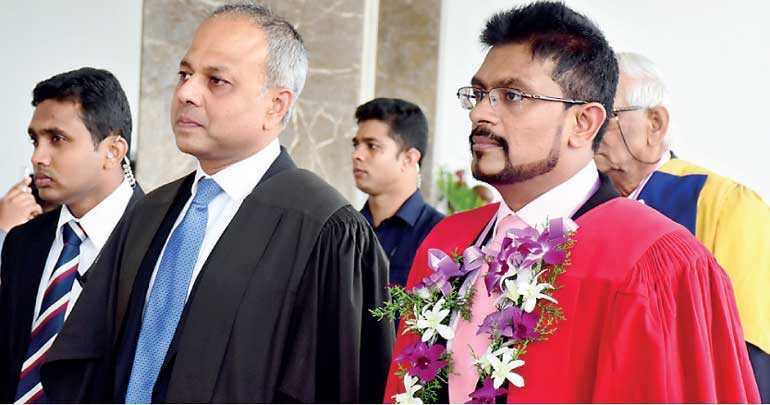 After IDM Nations Campus evolved into Nations Campus Lanka it has moved forward with several disciplines such as Business Management, Law, Sports Science and Teachers Education. The occasion was graced by the Chief Guest Speaker of the Parliament of Sri Lanka Karu Jayasuriya, Guest of Honours Minister of Project Management, Youth Affairs and Southern Development Sagala Ratnayaka, Minister of Higher Education and Cultural Affairs Wijeyadasa Rajapakse, IDM Nations Campus CEO/ME V. Janagan, Buckinghamshire New University UK Vice Chancellor Dr. Sean Mackney, High Commission of Canada to Sri Lanka and Maldives High Commissioner David McKinnon, World University Service of Canada (WUSC) Country Director Esther McIntosh, ITN Chairman J.M. Thilaka Jayasundara, and many other eminent persons representing Sri Lanka’s academic community.